The Museum of the Beartooths, located in Columbus, MT offers exhibits specific to the history of Stillwater County and the surrounding areas. Ranging back to the 1870's, the photo and memoribilia displays will give you a glimpse into Montana's rich culture. Museum of the Beartooths boasts historical exhibits about Stillwater County ranging back to the 1870's. Located in Columbus, MT, just off I-90. Open M-F, 10-5 April through December and Memorial Day through Labor Day. Open weekends 10-3 during the summer. The Museum of the Beartooths reflects history specific to Stillwater County and its surrounding areas. Through detailed exhibits featuring photos and memorabilia, the Museum offers information on events, people and places dating back to the 1870’s. Some interesting exhibits include the story of Frank Robideau’s hanging, as well as a photo history of Stillwater towns. The Museum of the Beartooths is forever growing as it continues to add paraphernalia to the collection. If you’d like to pick up a souvenir, the gift shop offers unique made-in-Montana merchandise. 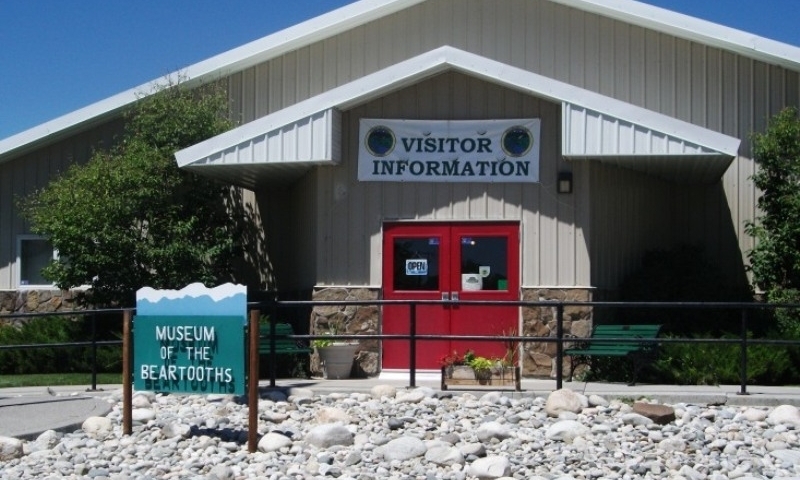 The Museum of the Beartooths is located in the foothills of the Beartooth Mountains, in Columbus, MT. Situated on the corner of 5th Street and E. 5th Avenue N., this museum is just a short stint of I-90. From I-90, head south on US 78, left on E. 4th Avenue N., and a right on N. 5th Street. April 1st-December 31st: Monday-Friday, 10 a.m.-5 p.m.
Memorial Day-Labor Day: Monday-Friday, 10 a.m.-5 p.m.; Saturday-Sunday 11a.m.-3p.m. The Museum of the Beartooths does not charge a fee for entry. Just remember to sign the guest book and soak in some knowledge. Witness the nightly reenactment of Wild Bill Hickok's shootout and death in Deadwood South Dakota. Learn about motorcycle history in Sturgis, South Dakota. Mysterious, ancient rock structure in Wyoming's Bighorn Mountains.